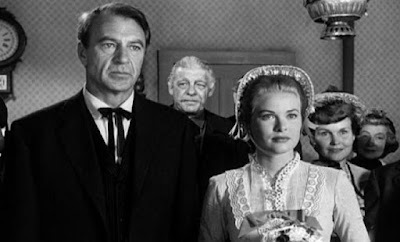 The myth and poetry of the old west come alive in Fred Zinnemann’s (Julia) classic western, High Noon (1952). One of the great treasures of the American cinema, the film stars the legendary Gary Cooper as lawman Will Kane, a marshal who stands alone to defend a town of cowardly citizens against a gang of killers out for revenge. Engaged in the fight of his lifetime, Kane stands to lose everything when the clock strikes noon – his friends, his honor, and his Quaker bride, played by Grace Kelly in one of her first screen roles. Unfolding in real time, the tension builds as we race ever closer to the climactic duel from which the film takes its name. For his career-defining role, Cooper would go on to win the Oscar for Best Actor. 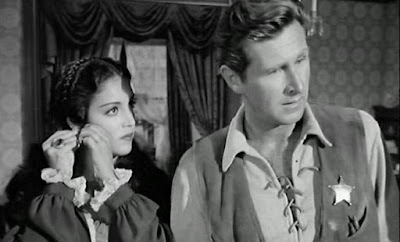 High Noon’s stellar cast also includes Lloyd Bridges (Try and Get Me), Thomas Mitchell (It’s a Wonderful Life), Katy Jurado (Pat Garrett & Billy the Kid), Otto Kruger (Saboteur), Lon Chaney (The Wolf Man), Henry Morgan (Strategic Air Command), Jack Elam (Hannie Caulder) and Lee Van Clef (The Good, the Bad and the Ugly). High Noon's place in film history is a an anomaly in may respects. Written by Carl Foreman during the Un-American Activities Committee hearings where suspected communists were being questioned, the film's plot took a different it a different direction than previous westerns. Having been called to testify himself, Foreman took his feelings and incorporated them into his script about a lone sheriff is forced to go alone when his friends abandon him, much like what happened to him once his refusal to testify against anyone ended his own career in Hollywood. The film was embraced by both the right and the left ends of the political spectrum, as each saw different aspects to appreciate in the movie. 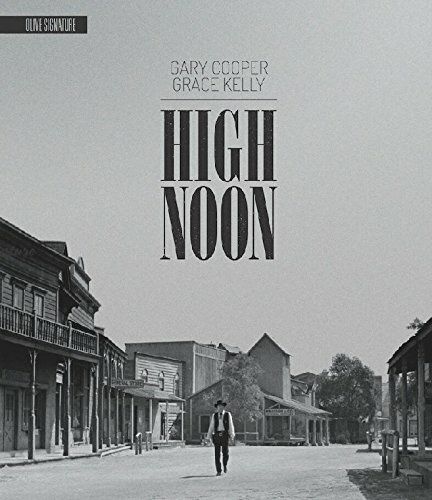 High Noon was nominated for seven Academy Awards and won four of them (Actor, Editing, Best Music Score, and Best Music Song) and the best actor award for Cooper was accepted on his behalf by John Wayne (who had been offered the role and turned it down as he felt that the film was "the most un-American thing," he had ever seen, but he accepted it as his friend Cooper had asked him to. Despite the uproar about the film, the story itself is pretty simple and clear-cut and entirely believable. In the small town of Hadleyville, Marshal Will Kane (Gary Cooper) marries Amy Fowler (Grace Kelly) and retires his badge, content to live out his remaining life as a store owner in a different town. The townspeople praise his service and thank him profusely for all he's done to bring a lawless town to order and Kane is getting ready to leave when he finds out that Frank Miller (Ian MacDonald), an outlaw that he sent to jail has been released and is on his way back to seek revenge against Kane and the town when he arrives by train at noon. 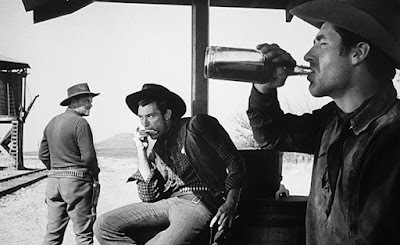 Miller's gang - his younger brother Ben (Sheb Wooley), Jack Colby (Lee Van Cleef), and Jim Pierce (Robert J. Wilke) are already in town and waiting for him to arrive at the train station. Amy convinces Kane to leave but his conscience doesn't allow it and he returns home to take up his badge once more and to gather a posse. At first, some of his friends and townspeople agree to join the posse as they assume that he will be able to gather a sizable group, but once it's discovered that no one wants to get involved, they all start to drop off one at a time. The bulk of the movie is Kane going from door to door asking for help (which is the part that infuriated John Wayne and led him to do Rio Bravo with Howard Hawks as a response). Even his wife Amy begs Kane to turn his tail and leave the town behind as her Quaker beliefs went strongly against guns and violence. A lot of the town are actually rooting for Miller to win as they don't like Kane and what they believe is his high handed ways. Even in the face of the apathy and cowardice of the town and the abandonment of his wife, Kane stays true to his beliefs and code and prepares to fight all of the men alone. 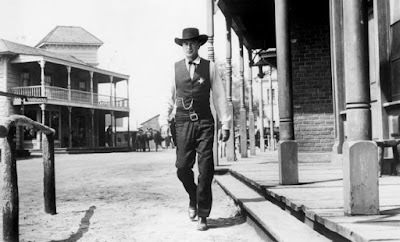 There's a reason that High Noon has been viewed more times in the White House than any other film as it speaks to those with the highest responsibility in the land who have to make similar hard decisions that may not be popular with their constituents. 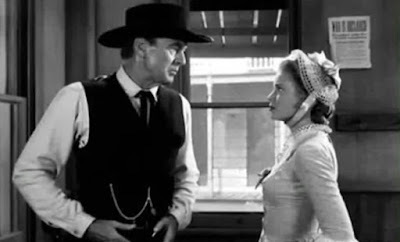 The story of a lone man's fight against outlaws is a popular one with the western genre but High Noon offers several twists involving the townspeople and Kane's wife that subvert the usual genre fare into something different and special. While it's predictable that Kane will eventually have to face Miller and his men, it's not as easy to see the end results and who and how it's resolved. The acting on display is excellent across the board with Gary Cooper delivering an impressive performance as the stoic Kane who's basically thrown under the bus by the entire town and the people he thought were his friends. Grace Kelly makes her film debut in this movie and she's lovely and offers more than the one note role could've been. There's a lot of good supporting actors as well including Lloyd Bridges, Thomas Mitchell, Harry Morgan, Jack Elam, Lon Chaney Jr., and it's also the first appearance of Lee Van Cleef (who has no dialogue). High Noon is one of the finest westerns made even if it doesn't fallow into the usual formula. I have to say that I was astounded to see how good this Olive Signature Edition disc looked. This 1080p release has been sourced from a recent 4K master in it's original aspect ration of 1.37:1. For a movie this old, it looks amazing in this new transfer. Details are sharp and impressive with the film grain still intact and the blacks, whites, and grays are all expertly balanced The contrast is spot on and there's no real issues to complain about. This is most likely the best transfer you can get and I was very happy with the results. High Noon's DTS-HD Master Audio 2/0 mono track is also extremely good with no age related hissing or other defects to deal with. The dialogue is crystal clear and the music (and of course the song that's played over and over) all come across well. For a mono track for an older movie, this is a fantastic track. I was really curious on what to expect with these new Olive Signature Edition extras as this is the first one I've reviewed. I'm happy to report that they also share the same high standard here as their video and audio presentation. All of the extras are also in high definition. 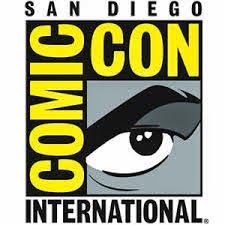 A Ticking Clock - In this exclusive featurette, editor Mark Goldblatt (The Terminator) talks about the editing choices made for the movie and how they shaped the narrative of the film. He also points out the various shots of clocks within the film which ramp up the tension as it leads to the showdown. A Stanley Kramer Production - This is a look at Stanley Kramer's films and his legacy. We learn that he preferred to focus on message films and it earned him a reputation as someone who could only do those movies which led to a bet where he made the comedy It's a Mad, Mad, Mad, Mad World to prove them wrong. Imitation of Life: The Blacklist History of High Noon - In this new featurette, historian Larry Ceplair and blacklisted screenwriter Walter Bernstein discuss times that High Noon was written and produced and how it affected the film and it's blacklisted screenwriter Carl Foreman and the fallout that resulted. Uncitizened Kane - This is a text format essay by Sight & Sound editor Nick James that can also be read in the included booklet. Booklet - This is an illustrated booklet that includes the same "Uncitizened Kane" essay found on the disc for those people that would prefer to read it on paper. 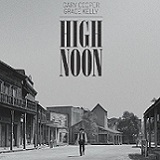 Trailer - The original trailer for High Noon has been included. High Noon is a great western with a powerful message that has resonated across the world. The acting is superb and the direction and script are wonderful. This new Olive Signature Edition matches the high bar set by the film as they've done an incredible job restoring the video and audio presentations the best they've probably ever looked. The extras are also very good as they are informative and without any sign of fluff which is so prevalent in today's releases. I can't recommend this release enough! For their first Signature Edition release, Olive has hit this one out of the park!